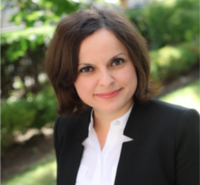 Dr. Aydin received her doctoral degree in Counseling Psychology from Loyola University Chicago and earned her master's degree in Counseling for Mental Health and Wellness from the Applied Psychology Department of New York University through a Fulbright Scholarship. She also holds two bachelor's degrees with honors from Boğaziçi University, double-majoring in Psychology and in Guidance and Psychological Counseling. Clinically, Dr. Aydin works primarily with young-adult and adult populations. Throughout her career, she has worked at several university counseling centers, both in Chicago and abroad, including her doctoral internship at Northwestern University's Counseling and Psychological Services and her post-doctoral fellowship at the School of the Art Institute of Chicago's Counseling Services. She has also provided clinical services at community mental health centers and outpatient clinics. Dr. Aydin's clinical and professional interests include multicultural and diversity issues, social justice, critical consciousness, identity exploration, interpersonal struggles, mood concerns, life transitions and strength-based interventions. Dr. Aydin has a passion for supervision, training, and mentoring. She has supervised doctoral and master's-level practicum trainees throughout her training in Chicago. She also provides mentorship to international graduate students in psychology through the International Mentoring and Orientation Committee of APA's International Section of Division 17. In her role as the Associate Director of OPT at The Chicago School, she is committed to supporting students in receiving clinical training in alignment with their professional interests and goals for their careers. Vera, E., Daskalova, P., Hill, L., Floro, M., Anderson. B., Roche, Aydin, F., …Carr, A. (2017). Parental Messages, School Belonging, Social Skills, and Personal Control as Predictors of Bullying in Ethnic Minority Adolescents. School Mental Health, 9 , 347-359. Vera, E., Kordesh, K., Polanin, M., Adams, K., Aydin, F., Knoll, M., … Jeremie-Brink, G. (2015). Ethnic Identity and Subjective Well- Being of Bully Participants. Professional School Counseling, 19 , 16–26. Yoon, E., Chang, C. C., Clawson, A., Knoll, M., Aydin, F., Barsigian, L., & Hughes, K (2014). Religiousness, Spirituality, and Eudaimonic and Hedonic Well-Being. Counselling Psychology Quarterly, 27 , 1–18.